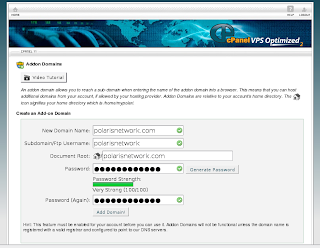 cpanel addon domains - better way? this way might give few problems. first, if search engine find it, it will hurt your SEO. because you have duplicated content and your domain could be marked as spam. so, if you do this, dont let search engine knows it. second, management problem. if you add few dozens domain, now you public_html folder will be messed up with dozens of folders not related to your main domain. very inconvenient. maybe you can point out more problem you encounter with this? this solved all my problems.